A sympathetic modular expansion to provide much needed pupil places for a community school. Delivered within an 'unrealistic' programme of just 10 weeks on site. The project has been commended by the client and the local residents and is a Finalist for the 2019 Offsite Construction Awards. 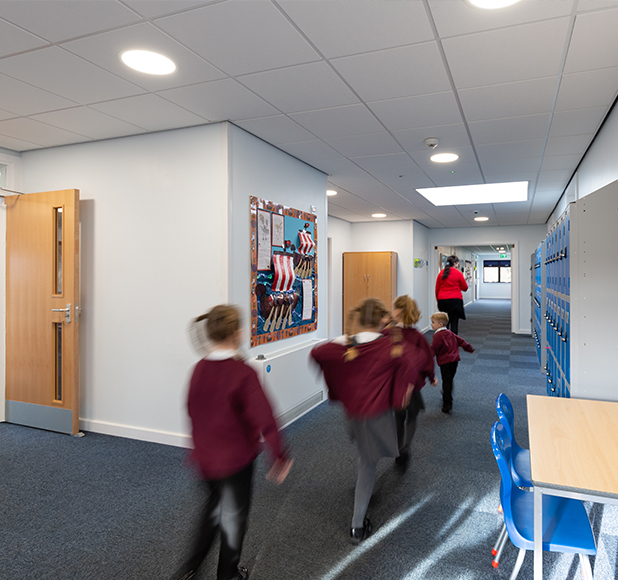 As part of Cornwall Council’s Basic Need Expansion Scheme, Bailey Partnership were commissioned to investigate the feasibility of expanding St Stephens Community Primary School from a 1.5 form entry (315 Pupils) primary school to a 2 form entry (420 pupils) primary school. The school is located in a residential area just outside the centre of Saltash, Cornwall and accommodates girls and boys from ages 4 to 11. 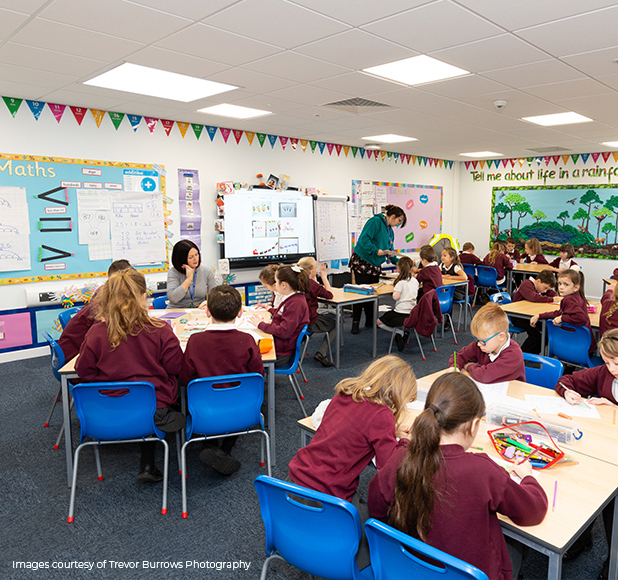 Providing these much-needed pupil places allowed children in the area to attend their local school, and a sense of community could be maintained within this ever-growing town. Due to the need for these pupil places by September 2018, and the late confirmation on the funding allocation for the project, the programme for delivery was too quick for a traditional construction route. Bailey Partnership, therefore, ensured the design could easily be adapted for off-site, volumetric and modular solutions. 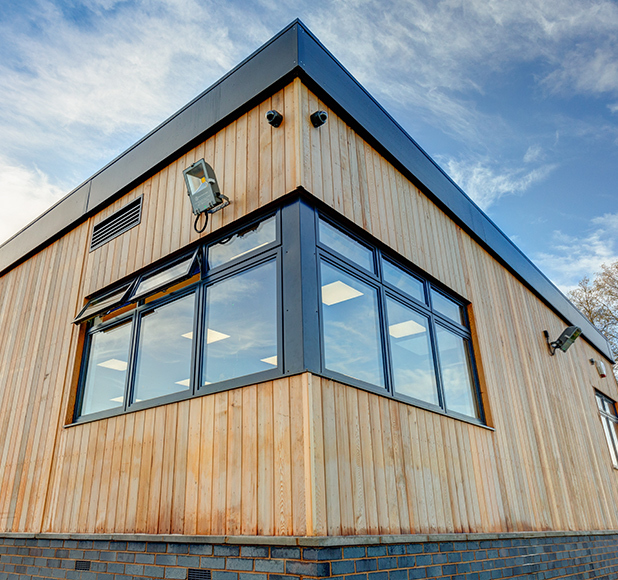 Enviro Building Solution Ltd were appointed and subsequently developed the design and successfully delivered the project, being on site only 10 weeks. The praise and feedback from the school and local community have been extremely positive.